Every year on the 2nd Thursday of March we celebrate World Kidney Day. This years theme was Kidney Disease and Women’s Health as it coincided with International Women’s Day being on the 8th March.At Salford Royal Hospital in the UK we try and do something each year for HOPE Kidney Patients Association, along with other charities, research groups and the like. Myself along with 3 other Kidney Transplant Recipients, Gary Taylor, Paul Reynolds and Stewart Jones, held our stall promoting Organ Donation and Kidney Disease Awareness. This is something myself and Gary do regularly, but this time we were joined by Paul and Stewart, both avid athletes. Both in the British Transplant Games, World and European Transplant Games along with 10ks and Marathons etc. 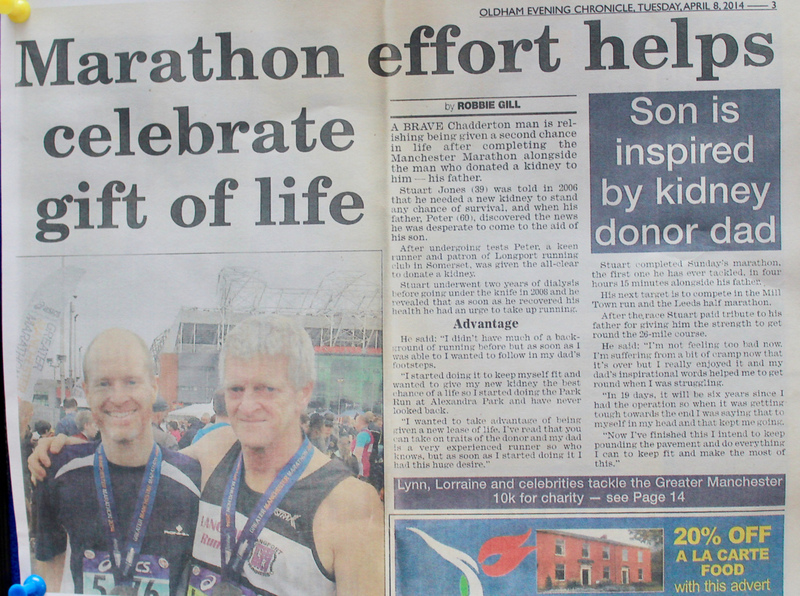 Next month Stewart will run his 10th Marathon in Manchester in 10 years since his Transplant, having never run before then, and Paul will compete in his First full Triathlon at Edge Hill University after only being part of a relay team before, doing the swim at Horwich (where I live). You will see just some of their medals in the photos.Along with our stall for the KPA we also had Ann and Sue with their regular tombola stall, raising much needed funds to help patients. Unfortunately I didn’t manage to get a photo. This entry was posted in HKPA, Patient Blog, Salford Royal and tagged Exercise, Live Your Life, Organ Donation, Patient Involvement, Salford Royal, Women's Health, World Kidney Day 2018. Bookmark the permalink.